In recent years, intrepid travelers have increasingly begun to discover the astonishing natural splendors and vivid Viking history concentrated in Iceland and Greenland. These remote destinations are never more appealing than in summer, when massive populations of migrant birds and other wildlife gather in the long, lingering sunlight. Seabourn has curated a series of brand new itineraries for Seabourn Quest for the summer of 2018, taking full advantage of the region’s unspoiled grandeur with a veteran expedition team of naturalists and other experts that includes Dr. Colleen Batey, an archaeologist specializing in the area’s rich indigenous and Viking legacies. 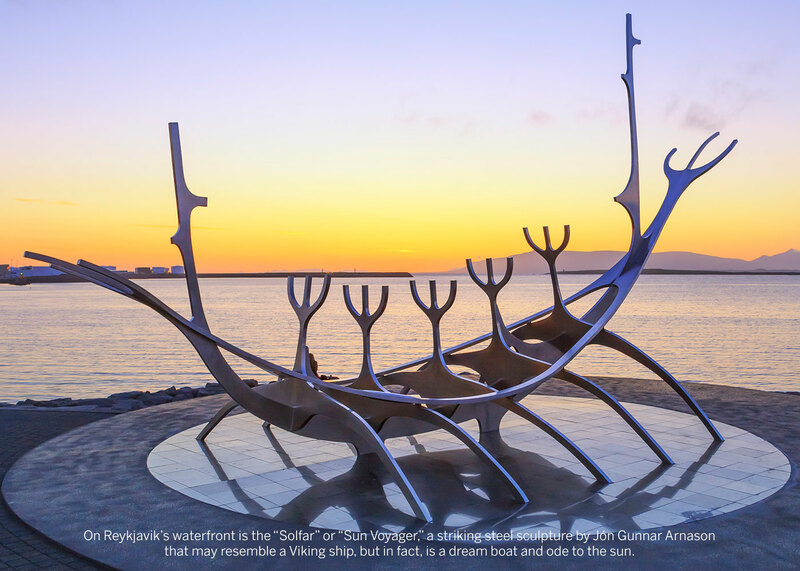 The 15-day British Isles & Iceland voyage (departing May 17 from Dover to Reykjavik) begins with calls in England, Wales, the Isle of Man, Northern Ireland and Scotland with multiple opportunities for active Ventures by Seabourn kayak, Zodiac or hiking excursions, and archaeologist-guided visits to museums and other sites. The cruise culminates with calls at the isolated fjord villages of Seydisfjordur, Djupivogur and Grundarfjordur on Iceland’s coast, with Ventures by Seabourn options including wildlife viewing, Zodiac cruises under teeming seabird cliffs and hikes to Viking sites with Dr. Batey. Another 15-day Iceland & North Cape Quest voyage (departing June 1 from Reykjavik to Copenhagen) includes four Icelandic ports: Isafjordur, Akureyri, Siglufjordur and Vopnafjordur, as well as the Norwegian coastal gems of Tromso, the teeming seabird colonies of Storstappen Island, Honningsvaag near the North Cape, plus Hammerfest, Harstad, the dramatic pierced mountain at Bronnoysund and Arendal, and finally Arhus in Denmark. Again, Ventures by Seabourn options abound for kayaking Zodiac cruises, hikes and site visits with Dr. Batey. True to its name, the 45-day Atlantic Isles Quest voyage (departing July 16 from Dover to Montreal) traces a jeweled strand of exceptional islands across the North Atlantic: Welsh and Scottish isles, the Isle of Man; the dramatic sea stacks of Borea and Stac Lee, the Orkneys, Shetlands and Denmark’s Faroe Islands. The centerpiece of this exceptional voyage is an in-depth exploration of six harbors in Iceland and eight different destinations in Greenland, where towering glaciers flow from the vast Greenland Ice Field to the sea, calving a parade of huge icebergs that glide like ghostly ships into the Atlantic. That unforgettable interlude is followed by visits to some of the most remote and least-visited islands in Canada’s northeast Nunavut territory: Lady Franklin Island and Monumental Island; the haunt of polar bears and other exotic wildlife; and L’Anse aux Meadows, the site of an 11th century Viking settlement that is also a UNESCO World Heritage Site. At last, the shores of the St. Lawrence welcome you to Quebec City and civilization. As delightfully different as these summer voyages are, they share a common thread: the unique blend of unfettered adventure and unstinting luxury that is the hallmark of Seabourn Quest.